In his days as an undergraduate, at the University of Nigeria, Nsukka,(UNN), he was awarded Most Political and Most Enterprising student. His entrepreneurship adventures culminated in starting and running Xcess Power Events. 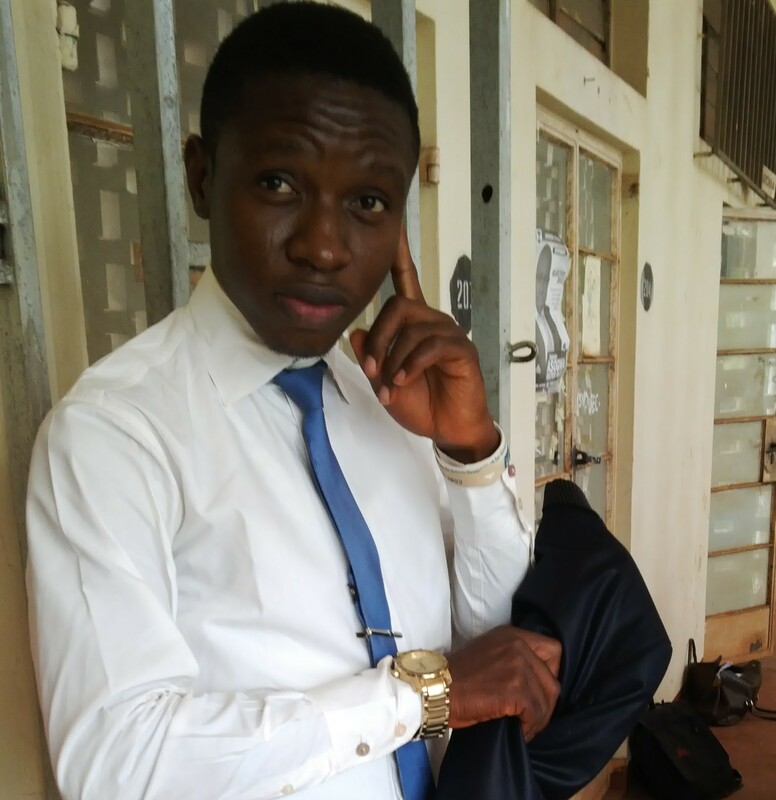 In this interview with BROJID.COM EDITOR, JOSEPH DINWOKE, the CEO of three year old Xcess Power Events, UFONDU CHIBUZO, reveals what propelled him into entrepreneurship, how to surmount business challenges and secrets of excelling in event business.He told me about the woman in her life now. Thanks for joining us today on BROJID.COM’s BizPeople. Please tell me a bit about yourself. My name is Ufondu God’s power Chibuzor, CEO, Xcess Power Events. I Just graduated from the department of Home science, Nutrition and Dietetics. I am from Orifute, Anambara state. You graduated from Home Science Nutrition and Dietetics and you are running and event Management Company. What’s the correlation? In home science, nutrition and Dietetics, we have an array of options – clothing and textile, Interior decoration and event management as a course. So, what’s the attraction to events? Event management entails physical and intellectual strength. I got admission into Veterinary Medicine but I left the department because of the in-built passion in me to go into events. Even before I entered school, I have been so much into events. I started with MC (Master of Ceremony) and standup comedy, but along the line, I found no fulfillment. I had to go into event Management before I found fulfillment. Events management has been and in-built passion in you. So when did you allow that passion manifest in starting Xcess Power Events? Actually, it’s lack that led me into starting Xcess Power Events. Lack of money in my pocked, compelled me to birth the vision of Xcess power to earn money. I started up with charity because I didn’t start up with money as my primary focus. I just wanted to sell myself, product and label; with or without money. I got their confidence in me and started giving a price tag on my services. Could you tell us a bit of the lack that spurred you into entrepreneurship? 2012, I was in my second year and I was fashion conscious. I found it difficult to keep up to the fashion I really want due to financial limitations. I met one guy; his name is prince and shared my vision with him. And he said, ‘There are lot of department and faculties that are having problem with planning their dinner, faculty nights and weeks. You could go to them and talk to them and if you prove yourself competent, you could start earning money.’ So, I started. Businesses run on money. How were you able to raise startup capital? Let’s look at this may: you started up when you were broke. You didn’t have money and you spent time, money and energy to work for these people. How were you able to survive and sustain yourself within those days of trying to sell yourself and impress your brand in their mind? I told them, “I will do this job for you for free but you promise me that you will give me another job that will pay me.” They agreed. I first worked for a department free and they gave me the faculty with handsome pay. That’s interesting. Every business is characterized with challenges; especially start ups in our Nigerian environment. What are the challenges you have encountered running Xcess Power Events. I had a lot of challenges and discouragements. There was a point I backed off from the business entirely. I wasn’t getting what I wanted and I was a student. I had difficulty combining business and my academics. I had problems with people believing in my competency. I also had problem with people looking at my stature and saying, ‘wow you run excess power event! How possible is it?’ But I thank God that even in their doubt, I was able to clear their doubt by what I could do – my productivity and my job. Apart from people believing in you, what other challenges did you encounter? What about your family? Did your parents tell you things like, “Chibuzo, face your book? Wow, they never told me anything like that because my father believed in something – if you are a man, you have to work to prove it. There are many event management companies around. What’s unique about Xcess Power? We work with your budget, we respect your budget, your likes and dislikes unlike other people that will tell you’re their price without considering your earning. At Xcess power Events, we first ask you how much you want to spend because you can’t leave above your means. If you earn N20, 000, Xcess power, will make sure you spend maximum of N15, 000; not your life savings on event and you will still have a classic event. So, you mean if I want have a birthday party now and have N10,000, you will be able to plan the event for me within that budget? We will just look at the best we can get of the decoration, cake and venue (which should be in your house) and a music DJ. In fact, you can get very good party with N8,000. When your price tag is not big, it’s common among people to think that your service is less than standard. How do you manage a situation where you give people budget which is less that what many others are giving them? That’s why we are not stereotyped in our event management. I am in Nsukka, Enugu state now, but when I go to a place like Abuja now, I know that location has changed, the price has changed. Now, when I go to Abuja and someone in Aso Rock tells me to plan an event for the opening ceremony of a particular thing. I will first seek to find the persons budget. If he doesn’t have any and request my quote, I will submit a proposal which is subject to negotiation but there is a bench mark for every event, depending on the target audience because if you are targeting the President of Nigeria, there are something you cannot take for granted. Some big men don’t eat in occasion; not because they don’t want to but because of the food and the way it’s served. So, when I am managing event, I look at so many things. For instance, you can’t have shouty colours, when adults are attending the event. The latest job we had is managing event for a conglomerate of Universities – Pharmaceutical Association of Nigeria Student National. I have managed for different faculties in UNN, law faculty in UNIZIK (Nnamdi Azikiwe University), burials in Nsukka, Onisha and Portharcourt. 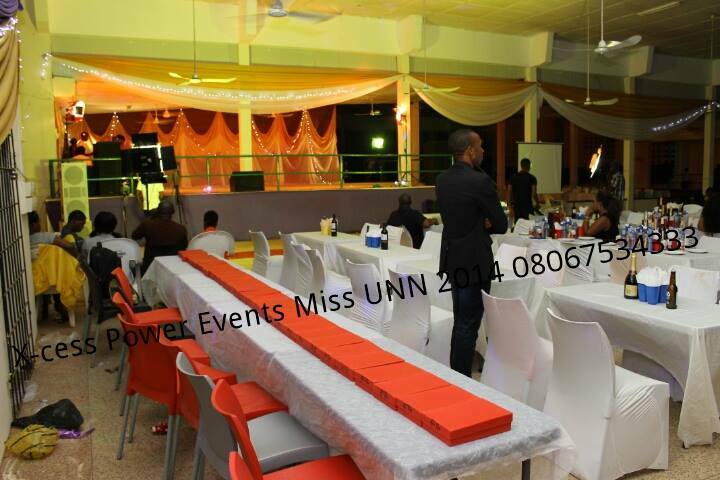 I have managed event for Army Barracks Onitsha. I have also worked in Hotels. There are places you work and you can’t touch their wall with nails. So, we have candle gun which can be easily removed without any permanent change on the wall. Xcess Power Event is a mobile and global in service delivery. Distance is not a barrier. I decorate funeral parlor so well that even the living admire to have a taste of the bed. My target clients are global. You just mentioned that you have clients in different state in Nigeria. How do you meet up with delivering outside your base state? Xcess Power Event is a mobile and global in service delivery. Distance is not a barrier. If I have a job for tomorrow, don’t expect me to leave today because something can happen on the way. I leave three days before that day and get acquainted with the venue and environment. What does it take to succeed in your kind of business? It takes perseverance and patience. If you want to succeed, you don’t have to take money as your primary goal. Your primary goal should be client satisfaction because when you satisfy your customers, more customers will come. One others thing I want to say is this: even if we are doing a job of N20,000 Xcess Power Events does it because of the class of people that will come. When top class people come and see the packaging, they will ask for who packaged it not how much its cost. I have a staff strength of 8 – five guys and three girls because event requires physical strength. How did you employ your team member? What’s your condition for hiring? I have eight staff and also train others. Before I hire you, I interview you to know what you really want in events. If you just want to do a petty job and get paid, we don’t have a space for you. But if event management runs in your blood, as in, as you are doing it, you are smiling even when the job is stressful, you are hired. Having that staff strength means you have to manage people. What’s your philosophy on people management? Tolerance! Human beings are very difficult to manage; that’s why you don’t use them for practical. You have to tolerate them, shout at them, look at their face, talk to them and get them to see why they should work. Why do I have to pay you to mange my event when I can hire chairs, tables, speakers and MC and sharer cards? In event management, sharing your card is not enough. What if people don’t respond to your card? When you get me to manage your event that means I have taken your headache for that event. Everything you need to think, I am thinking it. That means you are paying me to think for you; to run around for you; to make the calls for you and deliver on what you want promptly. If you have to start Xcess Power again, what mistake would you not want to make again? I won’t make the mistake of rushing to deliver jobs. Now, why I said so is this: when I was starting, there are jobs I rushed into. I just learnt that so so people needed event management and I got in there and I wasn’t prepared enough to deliver. So, if I were to start again, I will cook myself very well; get baked before coming. Your name is God’s power. Your business name is Xcess Power. What’s this whole thing about power with you? Are you a pastor of some sort? The power comes in the event. In event, you need intellectual, mental and spiritual power. The word Xcess means, it’s all encompassing, all embracing power in events. Ehmm, I have a woman in my life. That’s my mum. (Laughter)Now to that woman. I owe her everything because she had every chance to abort me but she never took that option and by the grace of God, I need to make that woman in my life, which is my mum, very proud. (Smiles)You are not in love. Is that what you are telling me? No. I am in love; in love with everybody. No, she will be very proud of me that I still love her(my mother) and other people. « MY FRIEND: YOUR CASE NOT YET HOPELESS! Yes o! Thanks for taking time to drop your comment. The pleasure is mine. Keep the good work, brother. That’s a nice one. So proud of you G.P. The sky is your starting point! Amen. Thanks Dimma for taking out time to drop your comment. Gpower…..! U just preached d Gospel…. And uhmm…. D woman in ur life??????? I asked him but in dey talk about him mama. Make u just agree with him. Kachi, thaks for taking our time to drop your comment.